This originated in the Himalayan Mountains. It is from the Plectocomia genus and is a high climbing palm that gets to 80 feet. It withstands frigid temperatures and snow and is highly weather resistant. Himalayan rattan is seldom used for furniture due to its soft pith. Is used to make chair backs and seats because it is flexible and durable. It is also used as a warping material around furniture frames. Cane is good for its natural shine and does not absorb stain. This is why many cane chair backs and seats have natural color. This is considered as one of the more desirable rattans. It is from calamus genus and is highly popular for commercial production. It is used for handicrafts and furniture. PE rattan is made from polythene, a synthetic material, and is designed to resemble rattan. It is mostly used for outdoor décor and furniture. It is excellent at withstanding intense sunlight and moisture. Although PE is not the only synthetic rattan it is better than other synthetics because of it being eco-friendly. 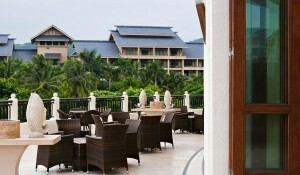 Synthetic PE Rattan can also be referred to as outdoor wicker. 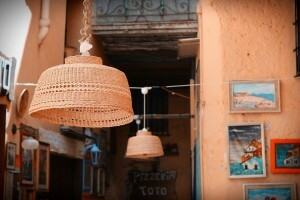 Rattan is highly popular in many parts of the world. Its popularity can be attributed to its strength. It is the strongest wood you can find in the world. In fact, it goes on to surpass bamboo and other materials that can be used to make wicker furniture. Whether you are in need of light, durable and affordable furniture, rattan will fit your list perfectly. Rattan furniture comes with an exotic appearance that is appealing due to its specific woven texture. This allows it to always have a stylish design. As a result of its easiness to bend, it can be used to make many types of furniture. Accessories can be added to enhance its appearance, especially for outdoors. It is said that heavy furniture represents sturdy and strong items. However, even though rattan furniture objects are known for its lightweight, they are still very strong. This is a rare pairing that endears it to many consumers and manufacturers. It means that its lightweight allows the user to shift it easily in the living space, and the cost of maintenance is never substantial. This furniture can blend well with most indoor and outdoor themes because of its lightweight and aesthetics. After undergoing a bending process, it quickly conforms to almost any size and shape. Manufacturers are thus able to create endless varieties of furniture for consumer satisfaction. For the outdoor space, rattan is one of the best materials to incorporate. There are very few durable enough materials that can be used outside. Rattan does not fade or degrade with continued exposure to the sun because it is UV resistant. It is also impervious to extreme temperatures and is waterproof. Note that the wicker weave is substantial and is constructed of all-weather material. You may put its cushions inside, but rattan can be left outside all year round without protection. Given that rattan types vary, always ensure that what you buy is UV stabilized for it to withstand the sun’s glare. HDPE or PE are the best for outdoors because they are eco-friendly, mold-resistant, tough and weatherproof than the PVC or PU. What’s more, rattan is heavy and withstands winds and storms.